In 1873, John Michael Kohler purchased a foundry in rural Wisconsin that produced a variety of cast-iron and steel products. 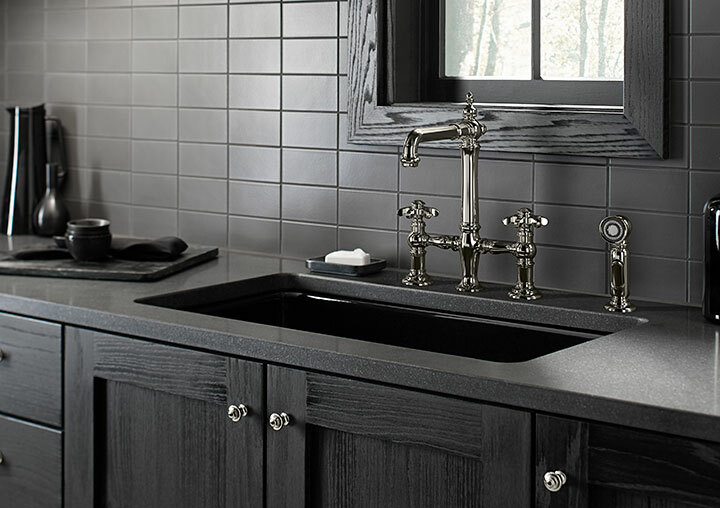 Ten years later, Kohler took a product in his line, heated it to 1700°F and sprinkled it with enamel powder. Placing a picture of it in the center of his one-page catalog, he called it “a horse trough/hog scalder . . . when furnished with four legs will serve as a bathtub.” Kohler was in the plumbing business. From those humble beginnings, KOHLER® has grown into a multifaceted global family of brands that lead the way to enhance customers’ sense of gracious living. Gracious living is marked by qualities of charm, good taste and generosity of spirit. We reflect this mission in the products and services we provide to our customers. Available in California stores only. Fewer germs, fewer worries and a lot more efficiency; the touchless feature is a KOHLER innovation that allows you to flush the toilet without touching it. 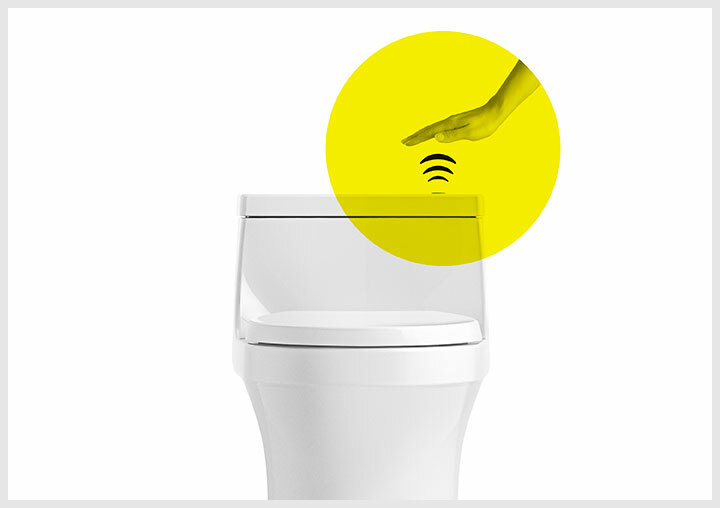 Thanks to intelligent technology, simply hold your hand over the sensor and you’re good to go. Be smart. Be prompt. Why choose a digital shower like DTV Prompt®? Because it gives you greater precision, control and customization than a manual shower- its intuitive interface is incredibly easy to use, and it eliminates the handles and knobs of a manual shower. 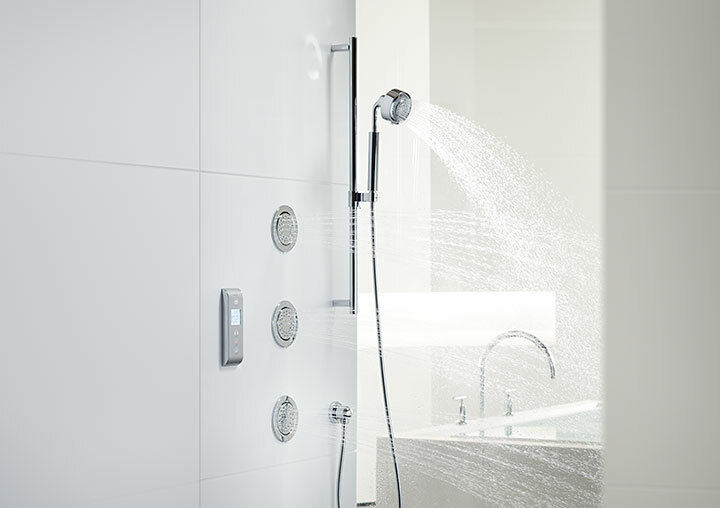 Plus, digital thermostatic valve technology guarantees accurate and safe temperature control. 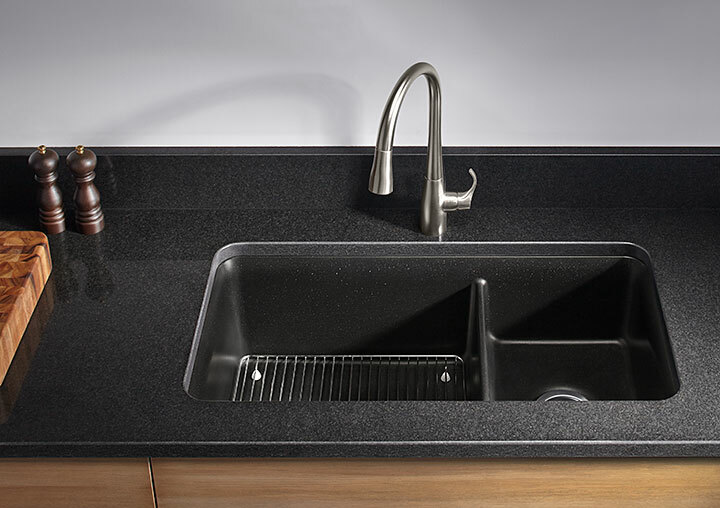 Neoroc® Kitchen sinks offer a warm matte finish designed to complement the visual texture of natural stone countertops. Exceptionally durable, Neoroc absorbs the impact of falling cookware and is scratch-, stain- and chip-resistant. Hot pots and pans won’t damage the surface. 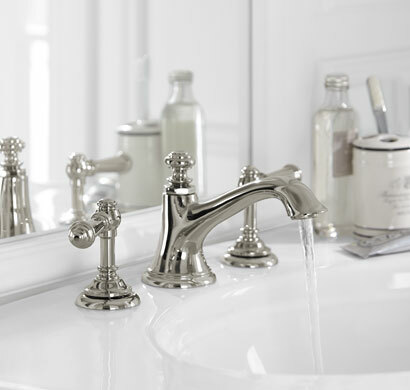 Inspired by turn-of-the-century charm, each piece in the Artifacts® faucet and accessory collection is like a vintage treasure rediscovered. At home in any decor, the Artifacts collection gives you the freedom to create a look that is your and yours alone. Response® technology is in tune with your every move: a simple wave of your hand--or an object such as a pan or utensil-turns it on or off. 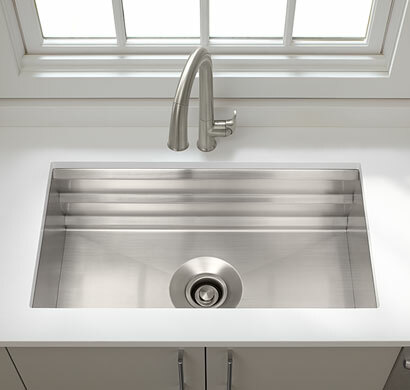 The faucet's sensor is precision--designed to provide reliable operation every time and to prevent false activations when you're working in the sink area. Sleek and smart, a cleansing seat will elevate your daily routine. It’s an instant upgrade to any toilet offering customizable amenities, including warm-water cleansing, heated seat, nightlight and much more. KOHLER cleansing seats are designed to fit most toilets, and our signature designs complement a range of decors. Stately lines and a color palette of creams, whites and dusty pinks brings a unique charm to this Southern-flavored, spa-like escape. With its pale rose paint and subtly patterned damask wallpaper, this classic palette is reminiscent of Southern homes, long considered the essence of charm and sophistication. 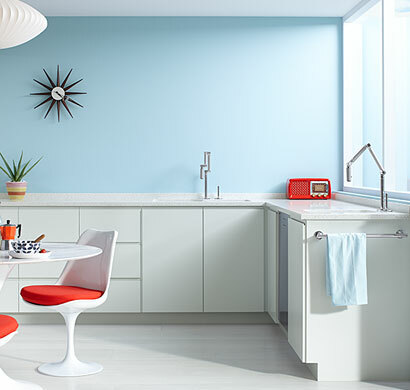 Fans of mid-century modern design are bringing its sleek lines and playful optimism into the kitchen. Sculptural shapes, iconic forms, and bright pops of color against simple backdrops help to expand interior spaces. Natural elements set the tranquil palette for this California seaside home. With classic Mission-style features, its design is as distinctive as the region that inspired it. A pale, neutral color palette needn't be demure. With its clean lines and blush-colored walls, silvery woods, and shimmering lighting, this kitchen is nothing short of glamorous. 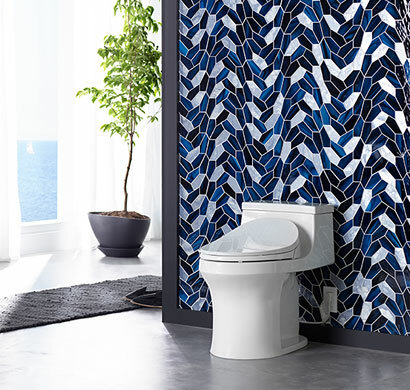 This duo of different bold design patterns of a crisp geometric tile floor and a bountiful floral border that draws the eye upward adds an element of sleekness that says "modern" loud and clear. Choosing a natural-patterned wall in a cool color is a great way to lend sophistication to the space while keeping it simple and inviting. 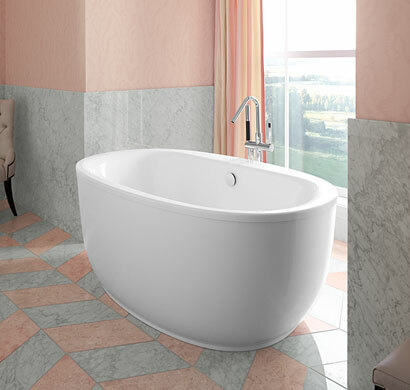 Soft, fresh-from-nature hues mix with warm woods in a bath with style and sensibility born of the sea. Your bath faucet is an essential element in creating a space that not only looks inviting but also delivers on its promise. We design our bath faucets to make a stunning statement on their own and to coordinate with and enhance the beauty of your bathroom. 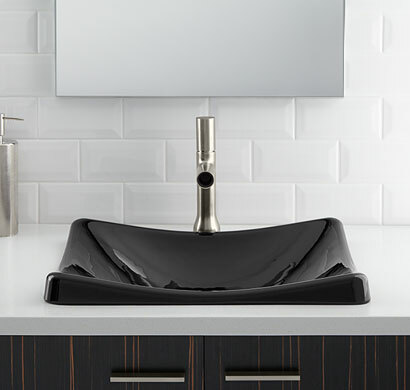 From traditional to contemporary, pedestal to under-mount, ceramic to glass and White to Bluestone Rutile, our sinks are a perfect fit in any bathroom. 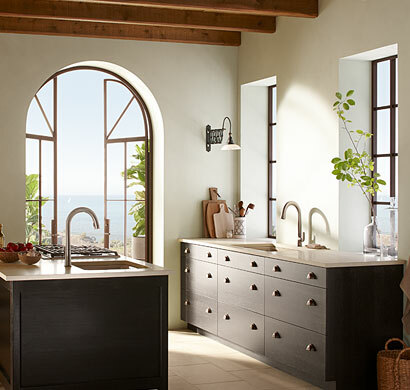 Whether you’re building or remodeling, with KOHLER it’s easy to find unique design solutions that are right for you. As you design your dream bathroom, remember to include the toilet and seat as components that can enhance your overall experience. 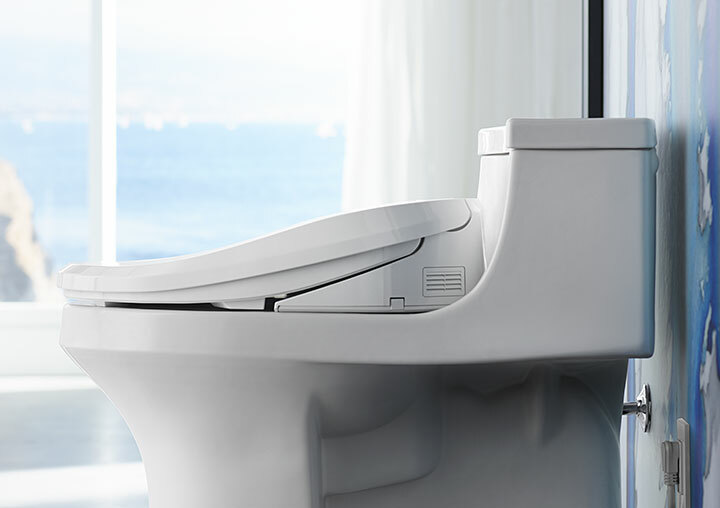 From personal cleansing to streamlined design, KOHLER toilets and seats give you a clean that goes beyond clean. If you’re a serious soaker, designing an ideal bathing experience is essential. KOHLER baths are designed to conform to your body, helping you relax with the just the right hydrotherapy. 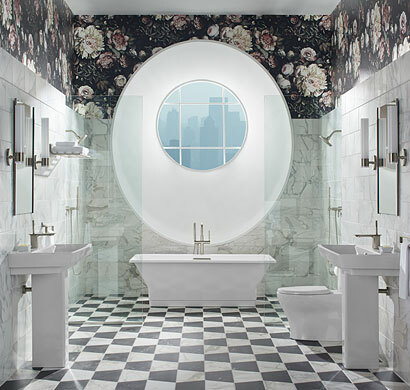 We offer a wide variety of sizes, colors, materials and installations to fit your bathroom needs. 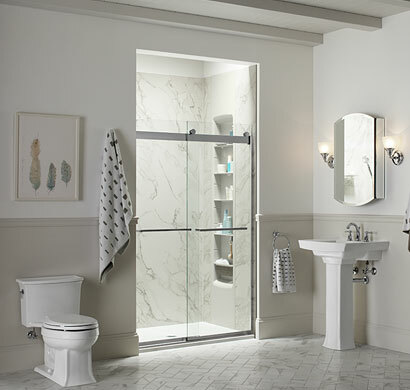 At KOHLER, we believe a shower should transform you and make the journey of your day more meaningful and memorable. 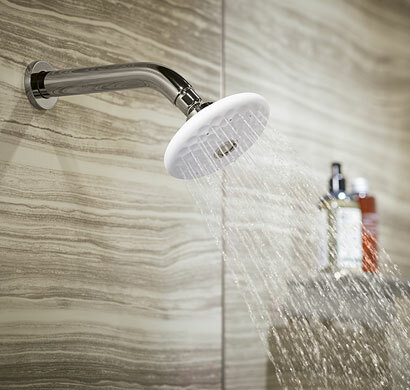 A shower can be the place you ease into the day’s rhythm or wind down from the rush. It can be a place to shift gears and experience water in a way that makes a difference. 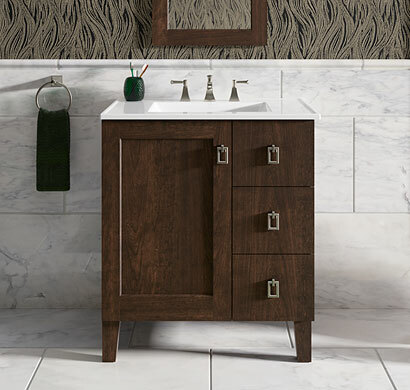 Bring the beauty of fine furniture and the organization of smart storage to your bathroom with KOHLER vanities. With a place for everything, you’ll be able to quickly find your toiletries and extra linens in no time. 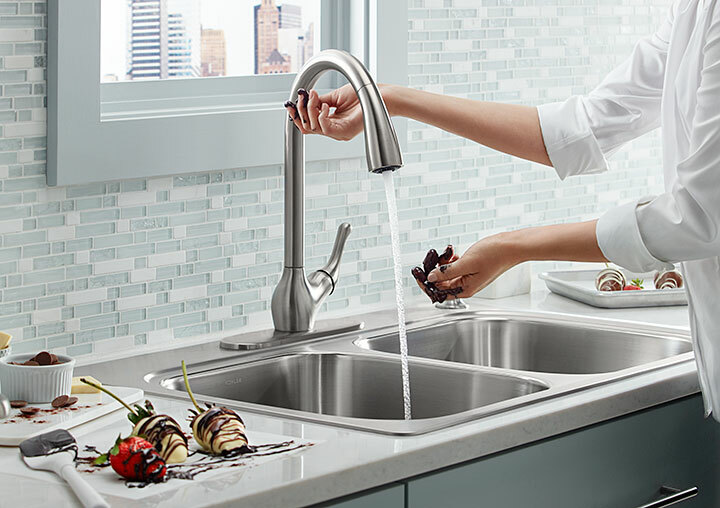 A meld of stunning design with steadfast performance creates KOHLER kitchen faucets. Tough and beautiful, they’re leak-free and on-task. 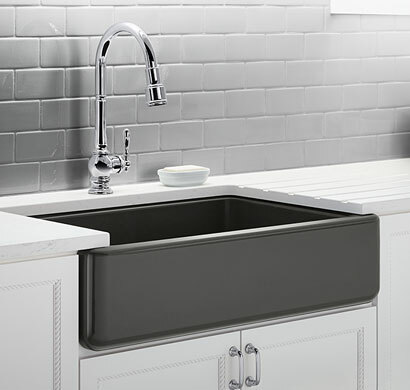 With incredible quality, thoughtful design and a range of materials and gorgeous colors, you can’t go wrong with a KOHLER kitchen sink. Our wide assortment offers a variety of sizes and configurations so you can create a functional space that will look beautiful for years to come. *Based on average household of four, each flushing 5.1 times a day, 365 days a year. At KOHLER, we believe great design is form and function in perfect harmony with the environment, but also use significantly less water. KOHLER has recently earned its fourth Sustained Excellence Award from the Environmental Protection Agency (EPA) in our continuing efforts to promote the WaterSense® program.